I know this post is almost an entire month past due. I am fine with that. As a mother things come up in life and I have to drop some of the balls I juggle in life. Over the last month I have chosen to drop blogging to focus on other matters at home since my first responsibilities are wife and mother to my husband and children. With that preface.... let me continue on where I left off 4 weeks ago: Nutrient and Mineral Deficient Food. Along with discovering the best possible way to grow food for my family over the last eight years, I have also spent a significant amount of time researching diets from Eat Right for Your Blood Type to the Raw Food to Vegan and Vegetarian diets. Each had parts of their system that made sense, but nothing seemed to really come close to what I FELT was right for me and my family. If you know me in person, you'll know that I rely strongly on following my intuition when it comes to my body and my health. One day as I was reading the newspaper on my lunch break at work back in 2007, there was an article about raw milk that caught my attention. It talked about the Weston A. Price Foundation (WAPF) and so when I got home that night I looked it up online. I learned there was a Utah chapter, so I e-mailed the chapter representative for Utah and later discovered she, Betty, was married to my mom's cousin (I also love making family connections)! I asked her where I could buy raw milk in Utah and she directed me to Real Foods in Orem. At the time it was not yet legal to buy raw milk from anywhere but the original source - the farm - but through attending a couple of seminars at Real Foods, I was able to join a co-op where every two months my husband and I drove down to the dairy farm in Redmond, Utah to buy milk for everyone else in the group. I also learned about kefir and fermented foods during this time period. This was the beginning of my foray into preparing and eating foods that my mostly Scandinavian ancestors ate (along with a few Scottish and English ancestors). Some of my first kefir grains. 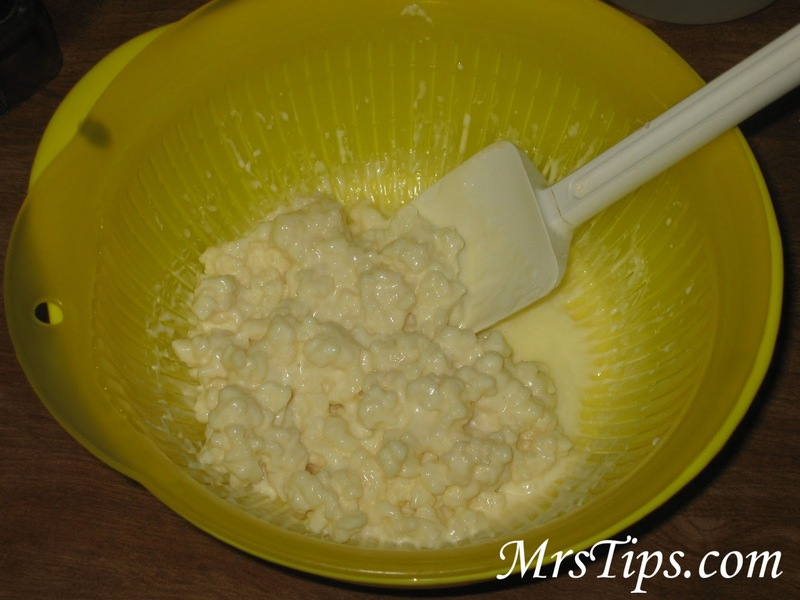 Kefir was the first lacto-fermented food I experimented making myself. At first I bought commercial kefir starts from BodyEcology. 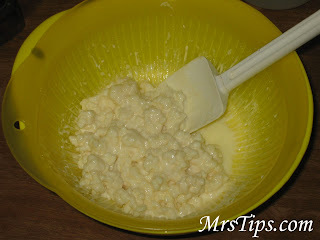 Then after using the commercial kefir starts, I learned that REAL kefir is made by using kefir grains. I had joined my local freecycle group and a woman offered kefir grains - so I called her and went to her house to get my grains. She kept goats and used goat's milk to make her kefir. I tried it and decided I was definitely one of those people that wasn't a fan of goat milk. While I was there she started talking to me about Isagenix. It was the first time I had heard of it, but with the multitude of direct-marketing companies found in Utah at the time (Nature's Sunshine, Neways, NuSkin, USANA, Xango, Tahitian Noni, Young Living, etc) I disregarded everything she was saying about this MLM that had only been around for 5 years. Now fast forward to 10 months ago. I was staring my second year of the Mittleider Method of gardening and had learned a TON about nutritional and mineral deficient food. Add to that all that I've also learned about REAL food (raw, non-homogenized milk from pasture-raised cows; eggs from pasture-raised hens who were allowed to eat their non-vegetarian feed of worms and earwigs and other bugs; etc) that I haven't yet shared on MrsTips, and perhaps you'll understand why I was drawn to Isagenix the second time it was presented to us. Through a process of joint choices my husband and I made together and a partnership we formed with one of our former real estate coaches, last May we were privileged to meet Tony, Randi and Sean Escobar. Talk about salt of the earth people!!! Genuine and down to earth REAL people who really are more concerned about helping people live healthy than they are about making money. Tony's presentation about the Isagenix 9-day Cleanse was phenomenal! It validated EVERY single thing I have learned about nutrient and mineral deficient food over previous 7 years and THEN some! John Anderson specifically formulated the Isagenix line to make up for the nutrient and mineral deficient food we currently have available to us on the mass market. The products are all designed to be fully absorbed and fully utilized by your body. Only Isagenix uses undenatured whey protein and from my previous education from Dr. Mercola's website, undenatured whey protein is the ONLY whey product that comes even close to traditional "real food" whey. For more information on the whey protein concentrate that Isagenix uses, here is an article by Dr. Michael Colgan. Some of my friends may and do balk at any sort of processed food from a commercial company, but in my busy life I do not consistently have the time to make my own "real food" that is loaded with all the enzymes and pro-biotics I need to be healthy - especially when I am pregnant and am so sick for 3 months straight that I have to spend most of the day lying down just to keep down the food and water I have consumed (like this past holiday season from Thanksgiving through New Year's). 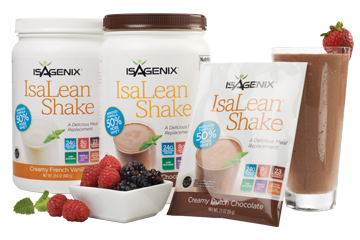 So for me, Isagenix is the ONE processed food I don't mind having in my home. It contains no soy products (Weston A. Price Foundation on dangers of soy. Dr. Mercola on dangers of soy). It is gluten free. And again, on top of being packed full of nutrients and minerals my body can readily absorb, it uses the undenatured whey protein. All the whey protein powders you see in other meal-replacement shakes, or for purchase in bulk on store shelves, use a denatured whey protein that removes the essential parts of what makes whey protein such an amazing protein - similar to how pasteurization and homogenization also denature milk and make it into something nature never intended it to become. And on top of all of these nutritional benefits, Isagenix has packed their products FULL of enzymes and pro-biotics! The perfect "convenience food" for someone like me who has been trying to return to the foods my progenitors ate before being introduced to the SAD diet (Standard American Diet) and started developing diabetes and cancer. Isagenix is pleased to announce that the University of Illinois at Chicago (UIC) study that involved our Isagenix system is receiving excellent recognition within the field of nutrition science. The UIC study’s abstract won the American Society for Nutrition (ASN) obesity research interest section abstract competition. In addition, the study was selected for an oral presentation in April at ASN’s annual meeting at the Experimental Biology conference in Boston. The 10-week study demonstrated clear, clinical validation for the use of an Isagenix system, which showed superior results when compared with a “heart-healthy” dietary plan based on nationally recognized guidelines. Notably, the Isagenix system led to a 56 percent greater reduction in average weight loss, 47 percent greater reduction in average body fat loss, twice as much visceral fat loss, and 35 percent greater reduction of oxidative stress. The study subjects also reported greater adherence on the Isagenix plan and that they considered it convenient and easy to follow. Additionally, over the last couple of months I have become aware of a very LONG list of athletes and celebrities who endorse Isagenix products WITHOUT monetary compensation and I am amazed at who is on this list! They endorse it without monetary compensation because they love the product! 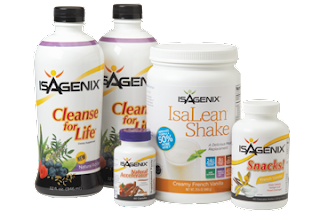 If you are interested in trying the Isagenix 9 Day Cleanse RISK FREE (use it up and if you don't like it you can get a 100% refund), visit our website: http://MrsTips.isagenix.com to get started!